All about Gem Ball. Download the trial version for free or purchase a key to unlock the game! Rescue animals in our awesome new game! 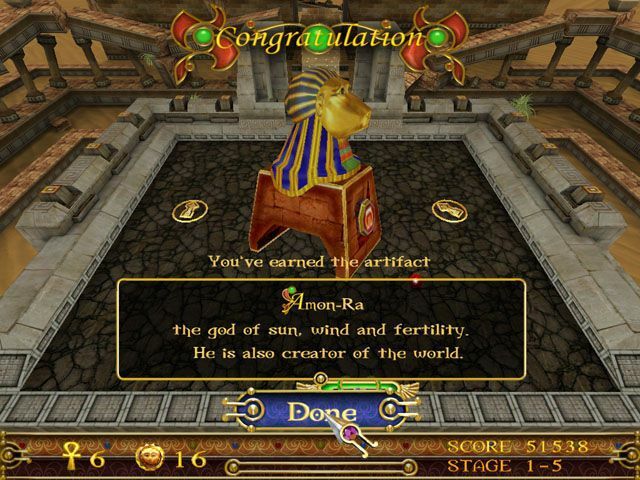 Embark on a journey of danger and discovery as you unearth the lost treasures of the Pharaohs! 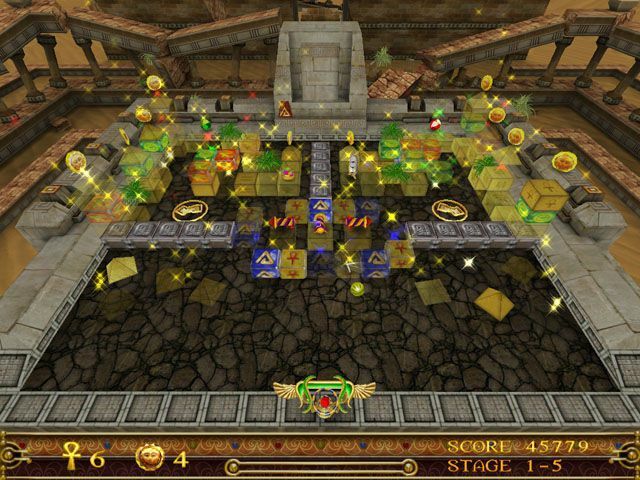 Gem Ball is a 3D Breakout game that combines the best features of arcade and puzzle offerings to produce an extraordinary new experience. Gem Ball isn't your garden variety Breakout game! Rather, each level is set up as a puzzle that requires you to trigger certain elements to open new areas. You'll need not only good ball handling skills to hit the sweet spot on each level but also the brains to figure out what to do. That said, Gem Ball is a Breakout game, which means there's plenty of brick-busting action to be enjoyed. And we've upped the ante with a variety of awesome powerups, including the explosive Lava Ball and the destructive Mega-Laser. While your grey matter is solving the simple puzzles on each level, your eyes and ears will be processing the game's superb visuals and audio. 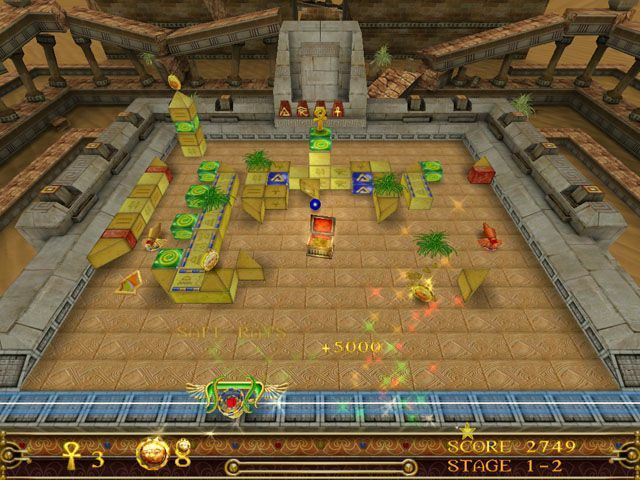 Set in Egypt, Gem Ball challenges you to unearth secrets that have been buried beneath the sands of time for thousands of years. That means gorgeous 3D animated backdrops, particle effects that ignite the screen and more. So download Gem Ball today and begin an adventure unlike any other!